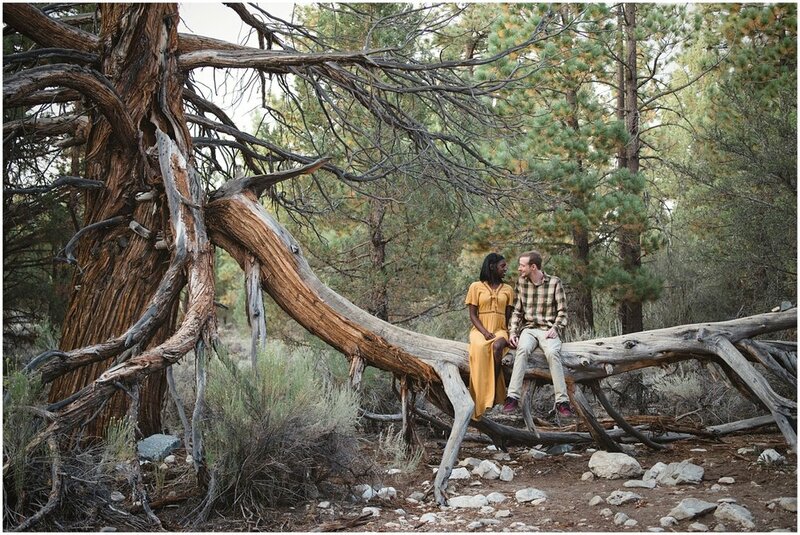 Pawel and I met up with Shanique and David in the beautiful Big Bear Mountains to shoot their engagement session. We met up in a parking lot close to the lake and got ready for some fun. After a few warm up shots we walked around the trails and we were in awe of our surroundings. The spot we picked was particularly pretty this time of year with yellow flowers everywhere. 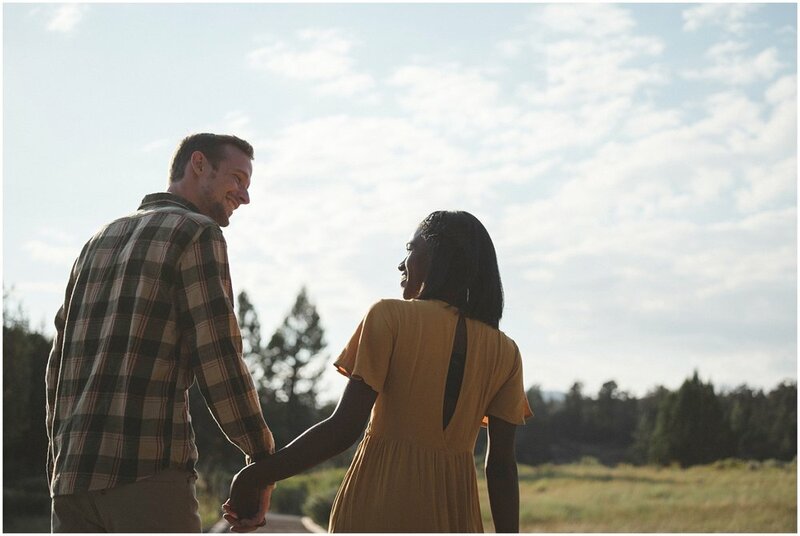 Shanique and David are very sweet together, little touches and cute sideways looks, it really makes our job easy. David has a way of getting Shanique to laugh and smile, he’s so silly it just makes her glow. It’s fun to see the goofy things men do to try to impress their favorite lady. Afterward we made our way back to the other side of Big Bear Lake to get a few dreamy sunset shots. We laughed and snapped off a few more shots until it was dark, we were really so lucky to squeak out these last few shots. 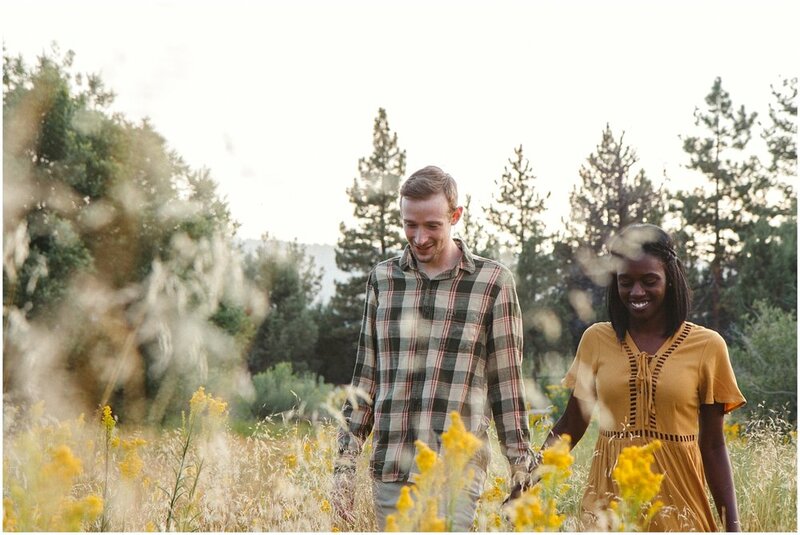 We can’t wait until their wedding day but until then we have to enjoy their lovely engagement session.